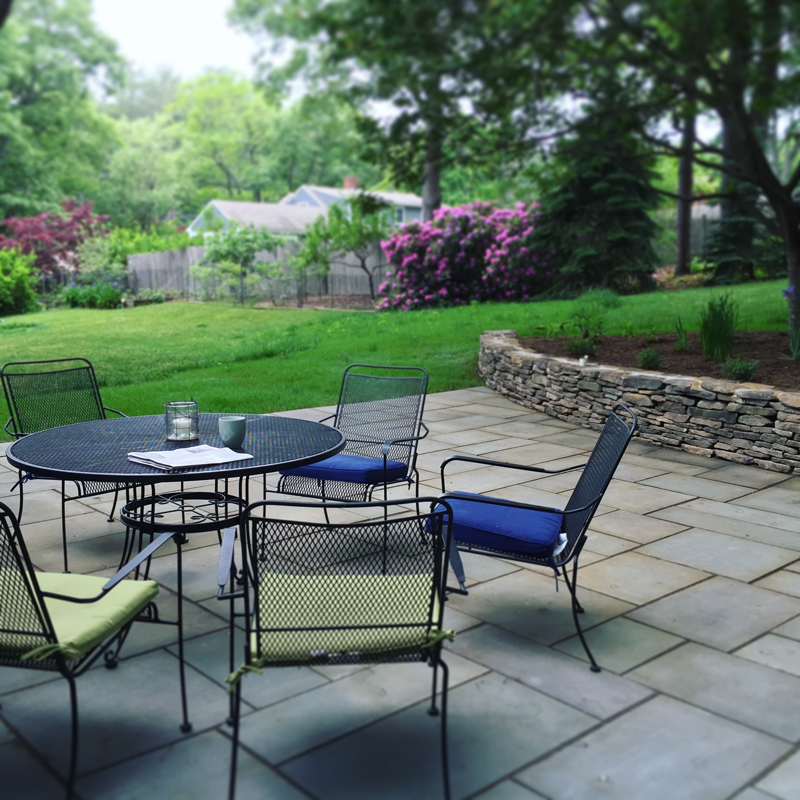 Our client wanted to create a space in the backyard where they could entertain and still keep enough lawn for the children to play. 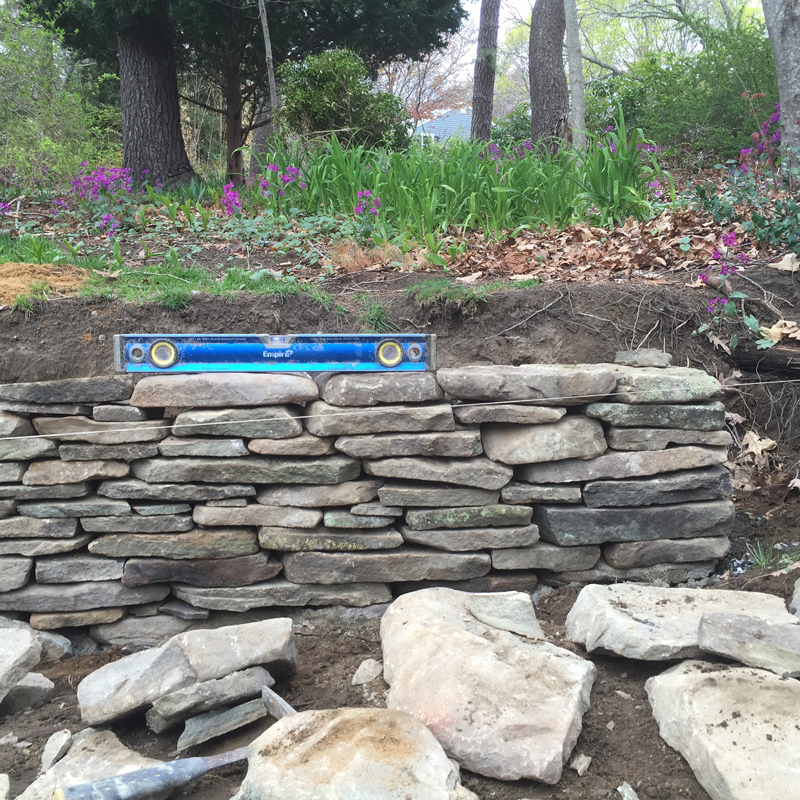 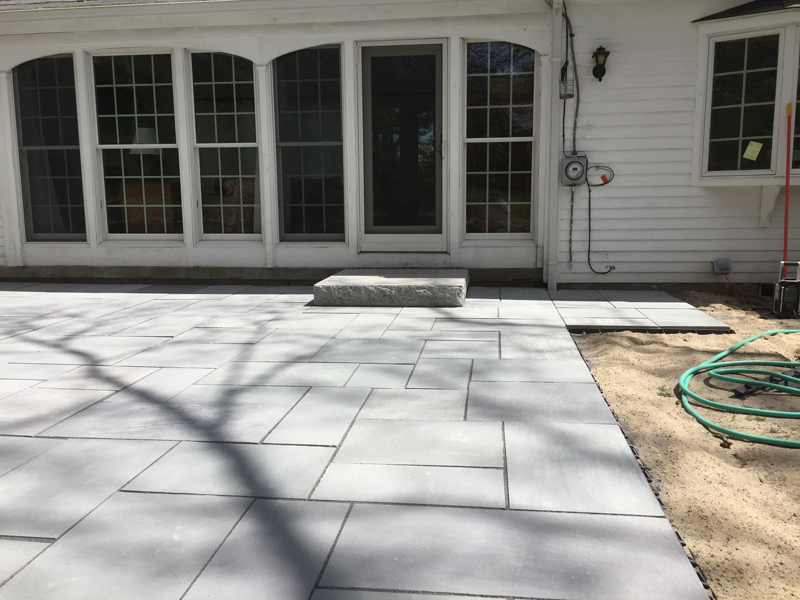 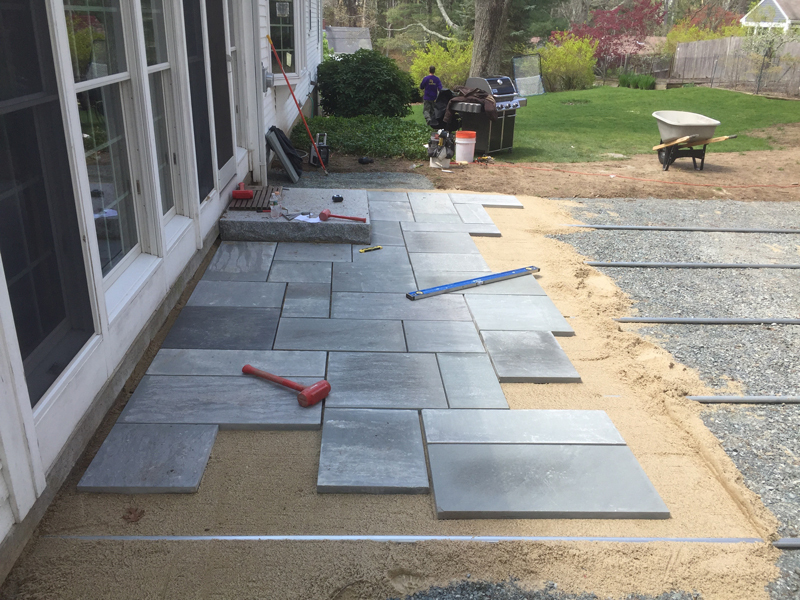 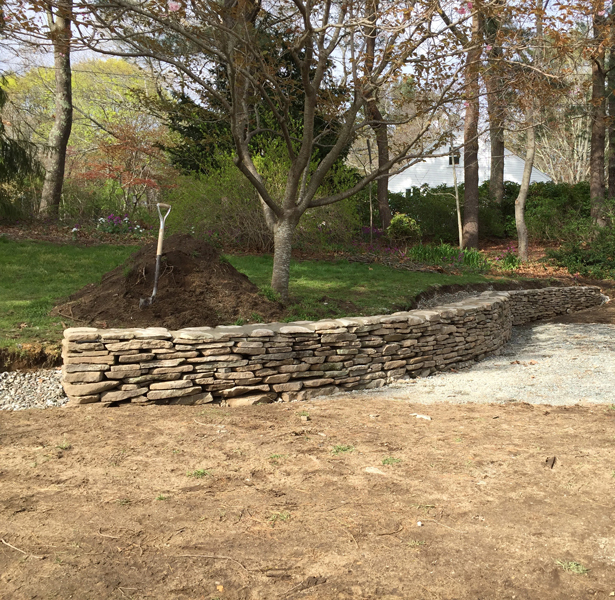 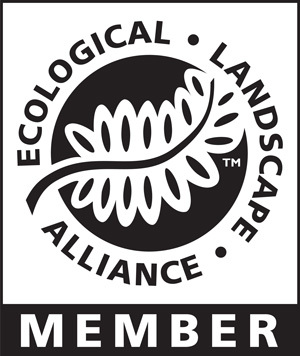 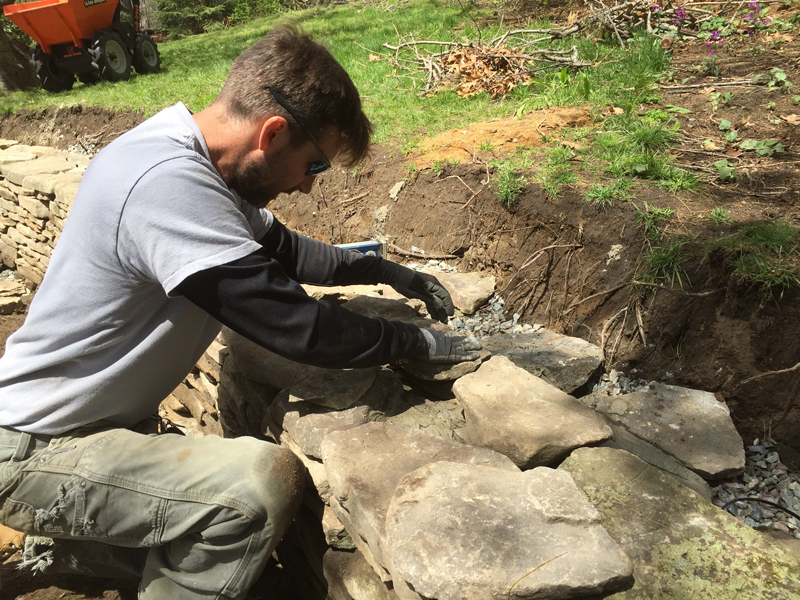 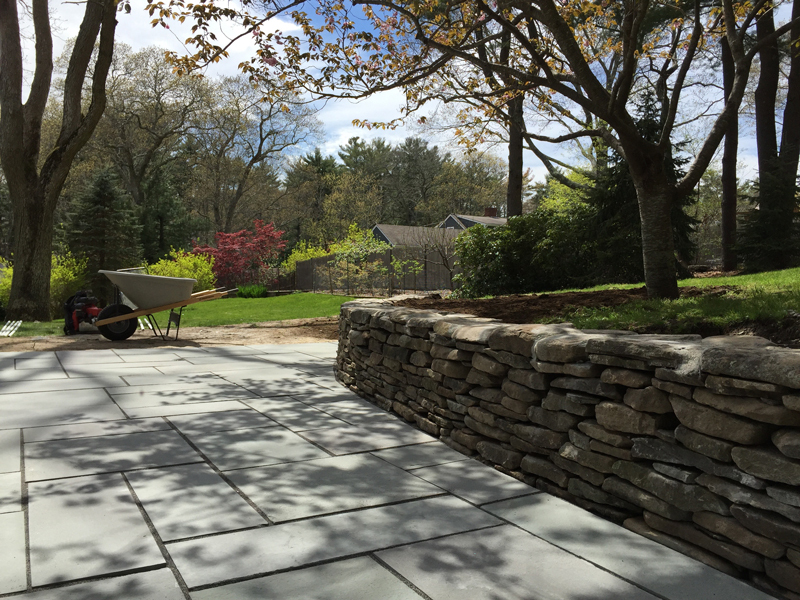 We designed a bluestone patio with a fieldstone retaining wall. 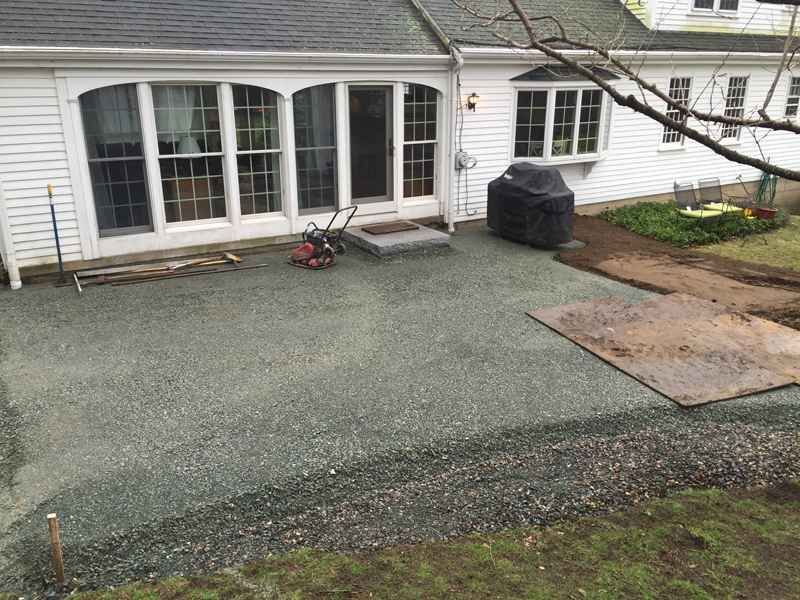 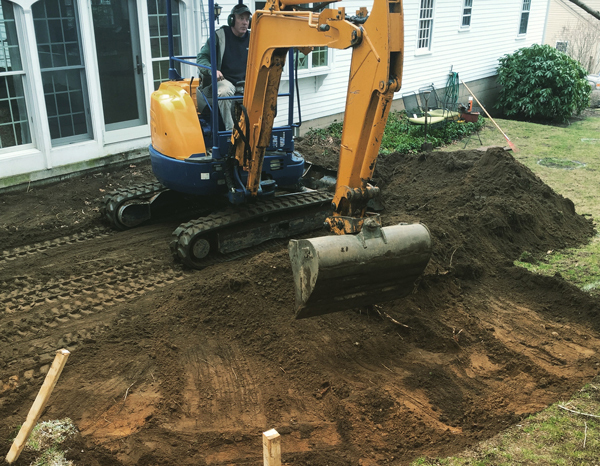 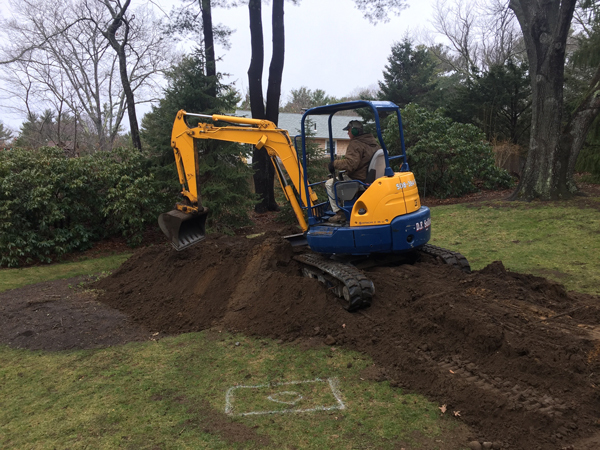 The addition of the wall allowed us to push back the slope of the lawn and create a larger, more level area for the patio space.